Cincinnati Milacron can trace their roots back to 1884. They have been around. HST can trace their roots back to 1985 making them one of the oldest independent spindle repair and rebuild houses in the USA. Should your Cincinnati machine need repair, like Cincinnati Milacron themselves, we provide reliable Cincinnati Spindle Repair and Rebuild. 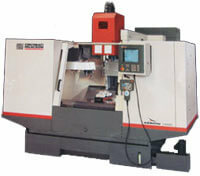 Most of the spindles we receive off of Cincinnati machines come from their Sabre line of vertical milling machines. 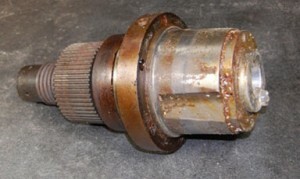 When the spindles come in they show their wear and tear. At HST we not only provide a highly technical repair on Cincinnati Sabre spindles but we want the spindle to look as good as it can. We believe that people tend to treat better looking components with greater care. After our comprehensive rebuild this Cincinnati spindle is ready to provide thousands of hours of work and perform like new. Of course not only should your spindle look good, it must perform flawless. 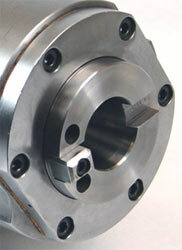 One aspect of spindle performance that is just as important as bearings is tool contact on the taper. At HST we check taper contact and if it is not well within acceptable limits we will restore it to OEM configuration. Often a “kiss-grind” is all that it takes like the surfaces on this Sabre 100 spindle. If the damage is more sever GPG may be needed to bring surfaces back to OEM standards. Cincinnati Milacron, Inc. has come a long way since their 1884 Screw and Tap machines. And HST has come a long way since its founding in 1985. Skill sets and equipment continually evolve and become more sophisticated. That’s why we continually upgrade or equipment and training. You can be confident that your Cincinnati spindle will be repaired to the highest standards.